How do I add a visit to a job? Move to the Invoice screen. 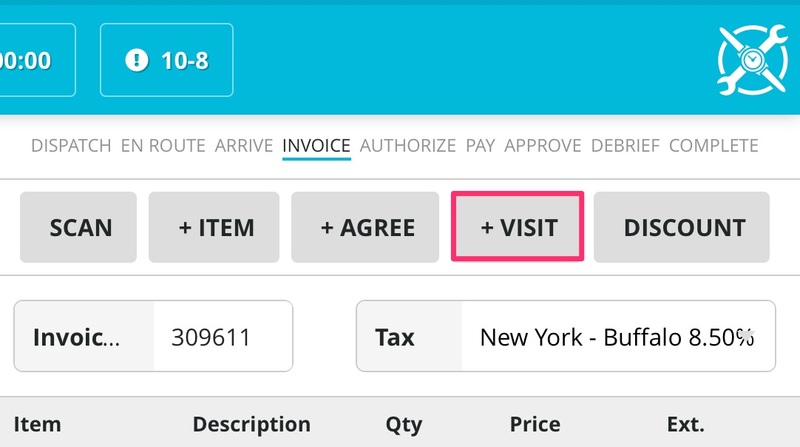 On the Visits screen you will see any visits that are available on any active Agreements. Once selected, these will populate the Invoice. By adding the Visit to the invoice, it also deducts the visit from the Agreement in SuccessWare21 as well. 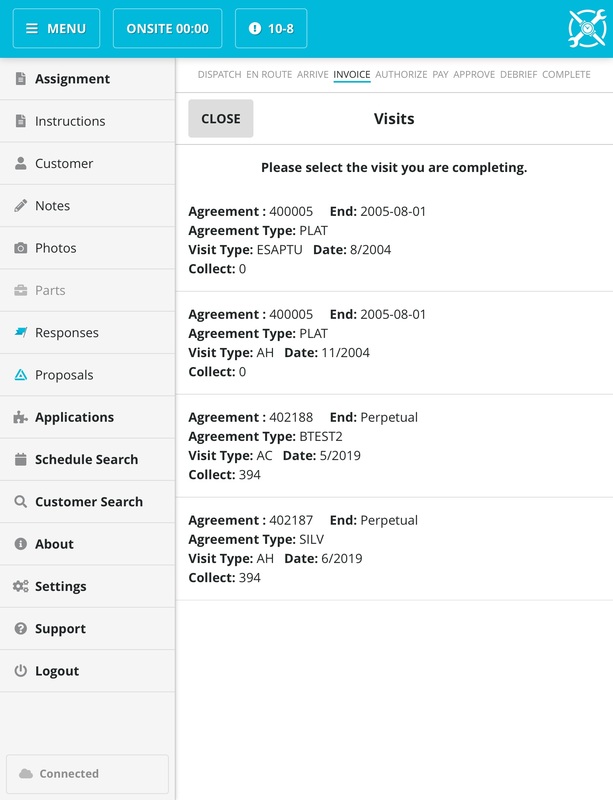 If you just added an Agreement for this customer, the Visit will not show up in this list, as the Office still needs to finalize the Agreement in SuccessWare21.